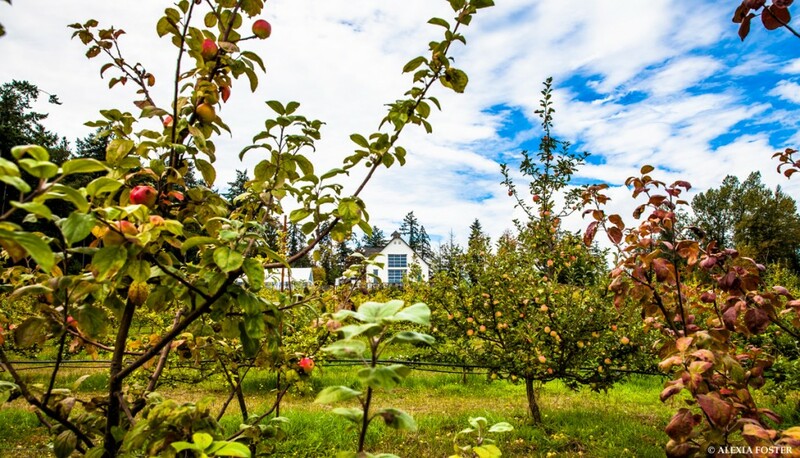 The first Sea Cider orchard was located on the pristine shores of Eagle Bay on Shuswap Lake BC. In our family for 3 generations, we grew culinary apples. In 2003 we replanted our Shuswap orchard with bittersweet cider varietals. The next Sea Cider orchard was established that same year on Oldfield Road on Victoria’s Saanich Peninsula, where we had a squash farm. Then in 2004, we purchased a farm a few miles away on Mt. St. Michael Road for the site of our Ciderhouse and main orchard. Previously a loganberry farm and sheep pasture. we planted 1,000 cider apple trees on the site that first year. We have since added several hundred more trees, comprising over 60 varietals of cider apples and heritage varietals. Construction of the Ciderhouse began in 2005, and the Tasting Room opened in 2007. The property is 10 acres and consists of the orchard, the forest, the Ciderhouse and gardens. 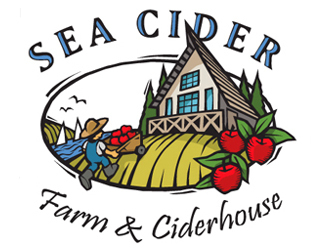 Sea Cider is a certified organic farm in compliance with Canada’s National Organic Standards through the Pacific Agricultural Certification Society (PACS). Our organic practices focus on minimal intervention and prevention of disease and insect infestations through soil health and attentive tree maintenance. In particular, we maintain the health of our trees by encouraging and nourishing soil biodiversity and preventing soil erosion. “Terroir” is also important in Sea Cider’s approach to cidermaking and apple growing. Our site is well suited for a cider apple orchard. The orchard is protected by forest shelter to the south, and its east-facing aspect provides good air movement off the waters of Haro Strait. The seas also moderate our micro-climate, preventing dangerous freezes and allowing the apples’ acids and sugars to develop in abundance. The topsoil is rich with organic matter and nutrients, and just under the topsoil layer is three-foot layer of glacial till which provides good soil drainage. Below this, a deeper layer of fine clay holds moisture during our dry summers and provides an exceptional source of nutrients for the trees’ taproots to access. Our orchard comprises 4 categories of cider apples: sweets, sharps, bittersweets and bittersharps. Primarily we grow English bittersweets but also German, French and North American cider varieties. If there is one style of apple prized above all others by cider makers, it is the bittersweet apple. Affectionately referred to as a “spitter,” these apples are low in acid, high in tannin, and impart the classic flavor of finer French and English ciders. At first bite, most would consider bittersweet fruit inedible. But what is ill suited for the fruit bowl is ideal for the cider press. Most commercially grown apples lack tannin—the molecules that impart astringency and provide a cider’s texture. Bittersweet apples fill this void. Tannins can provide a drying effect or make your teeth feel “fuzzy.” Steep a cup of black tea for ten minutes and take a sip. Feel it dry out your mouth a bit? Is the texture scratchy? You’re feeling the tannins. Not all great cider apples need to be tannic. We grow “sharps” too for example, such as the Yellow Newton Pippin, which is aromatic when fermented and contain the high acid and high sugar that provides all the fuel for fermentation and puckering power necessary for a great cider.